← 14 Years of Corvair Powered Zeniths. Ken Pavlou called to check in, and mentioned his 601XL now has 620 hours on it. While that isn’t much for an airliner, in a homebuilt aircraft that can be an extraordinary amount of adventures and great memories. If a homebuilt design isn’t fun and rewarding to fly, they never accumulate much time. 600+ hours tells the story of a good flying combination with a lot of utility. 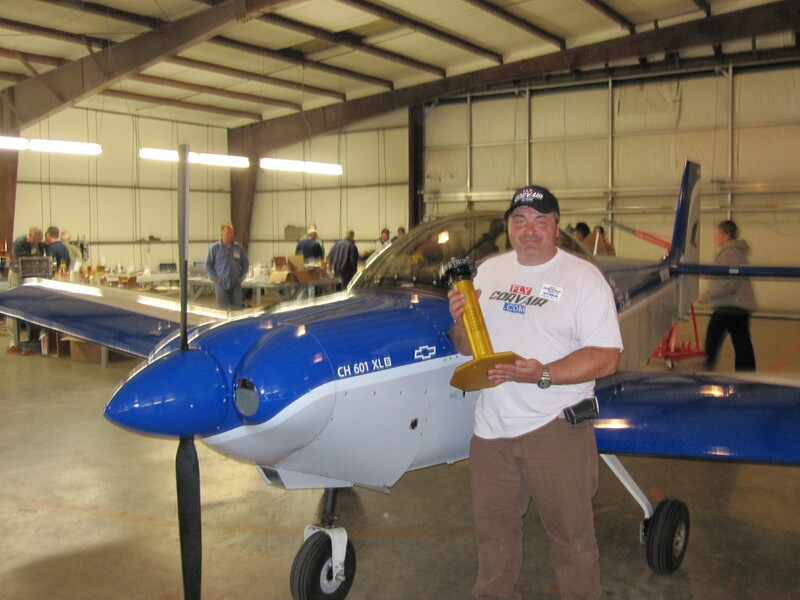 Ken based in Connecticut, and has flown his Zenith to Oshkosh several times, as well as our Barnwell SC Corvair Colleges.Ken is a skilled pilot, and knows and trusts his machine. He has flown directly over JFK at night, and made fairly long trips over water. This level of trust isn’t blind faith, it is based on understanding, building and maintaining both ether airframe and engine. Ken’s plane started out with a 100hp 2700cc Corvair and a Warp Drive carbon prop, which is our ‘standard’ Corvair displacement and prop for a Zenith installation. After flying 500 hours, he chose to upgrade to one of the SPA, made in the USA billet cranks, increasing the displacement to 3.3 Liters. This brings the power to more than 120 horses. He has also upgraded to a Sensenich carbon prop, which uses the increased power efficiently. The plane has flown at 138mph with a high pitch setting, but Ken likes a slightly flatter pitch which yields a 128mph top, but will deliver 1,500 fpm ROC at 75mph with the aircraft flying at 1320 pounds. .Everyone who has spent an hour in Ken’s company understands he is very gifted intellectually and has accomplished many things since arriving in America as a young boy. Ken’s career would have allowed him to buy any aircraft engine on the market, but after consideration, he selected the Corvair. It met his personal goal of learning all he could about the engine he would fly behind. Today, Ken is quick to point out the Corvair community are the kind of people he was looking for, traditionalist builders in experimental aviation. It provided a lot of motivation while building, is a venue to share what he learned when out flying, both elements were important to Ken. His flying and contributions to Corvair Colleges have made him one of the best known builders in our community. 5 Responses to Ken Pavlou, Zenith 601XL / Corvair, 620 hours. Curious as to which Sensenich propeller he is using. The hollow carbon fiber ground adjustable. It is about $1,500, but has an edge on a $800 warp drive, particularly on the larger motors. Looks like a great combination for somebody to immerse themselves into the dream of building and flying. Was able to meet Ken at CC#41, what a cool guy. We shared hospital “war” stories and he told me all about how residents of Barnwell had the time of their lives riding in a small airplane with “Mr. Ken.” Meeting guys like him is part of what makes the colleges such memorable experiences. For his specific situation, the 3.3L seems like it was an outstanding fit for him. He had nothing bad to say about 2700 but for his airstrip the extra hp makes a lot of sense. I’m glad it’s working out so well for him. Had the chance to fly with Ken at Barnwell in 2014. The 2700 worked great; the 3300 should be even better. Ken goes first cabin all the way.